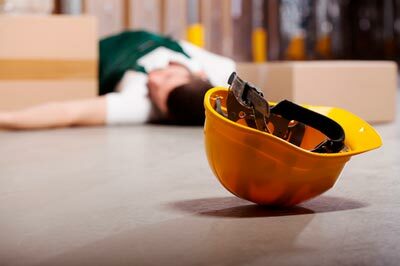 There is a high tendency for any workplace injury to be resultant of the negligence of the employer in ensuring that the workplace is hazard free. This is backed up by reports that one in ten workplace injuries have been as caused by the employer’s failure to adhere to recommended methods of operation at the workplace. These workplace injuries vary and in many cases cause as many psychological injuries as they do physical. For most employees in the industrial sector, the risk of incurring a workplace injury is more severe. In some cases, these injuries may be so severe that they require amputation for parts of the bodies of the victims. This, apart from the financial losses it may cause, will also inadvertently lead to an even more painful traumatic experience. Victims of any injury at the workplace are deserving of an adequate compensation to cover for all the losses incurred. You are implored to employ an excellent attorney to represent you, in order to help you get the compensation you deserve. This is to ensure that the integrity of your case is not jeopardized in any way, as a trustworthy and professional work injury attorney in Pomona is bound to place your best interest as a priority. Here in Pomona, our work injury attorneys are the best at Rawa Law Group, and they are dedicated to ensuring that you experience no stress, as everything possible is done to ensure you are well compensated through our relentless and tireless advocacy. In order also to help ease the entire process for you, appointments could be made at home or at the hospital. Everything is done at your convenience!